Our experienced Haywood County relocation experts can answer most any question pertaining to the area. If we don’t know the answer, we’ll find it for you. We have years of experience assisting people new to the area find their dream home in the mountains, as well as to get situated in a new place. Western North Carolina is growing by leaps and bounds and it is easy to see why. It is beautiful here – and there is more to the area than our mountains, lakes, forests and waterfalls. Thousands are discovering that this area of the Smokies has all the ingredients to make a lifetime of contentment. Haywood County offers something for everyone – the retiree, the small business owner, families and individuals. 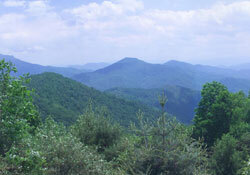 Many are drawn to the area for its natural beauty. Others enjoy the moderate climate; and still others are looking to integrate themselves into our mountain culture. To order the Haywood County Chamber’s relocation information which includes a current relocation guide, membership guide, Haywood County map, hospital, school, church, demographic information and more, call 877-456-3073.